James Inskster reviews John Buchan’s Thirty Nine Steps. 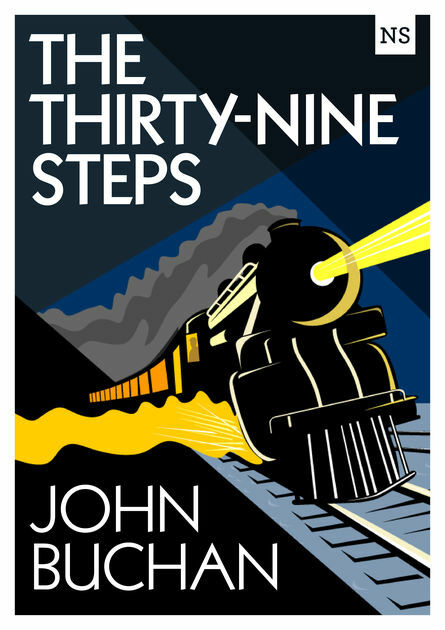 ‘The Thirty-Nine Steps’ was, I think, the first book I ever reviewed for my blog. Back then, my blog was called ‘The Fountain Of Words and Wonder’ (a little long winded, in hindsight) and it looked very different to how it does now. It had autumnal tones, a picture of a fountain and some serious typos. Now, my blog has a shorter-title, a different house-scheme, and some less-serious tip0s. One thing that hasn’t changed, however, is my love for ‘The Thirty-Nine Steps.’ It’s a superb book and is, truly, one of the best of its kind — that is, the espionage-thriller. Written by John Buchan, a politician, diplomatic and novelist, it has code books and duplicity, intrigue and deception. It’s the kind of book Ken Follet, Ian Fleming and Graham Greene would come to write, and a good-many ground rules were laid down securely by Buchan. I gave half-a-crown to a beggar because I saw him yawn; he was a fellow-sufferer. That followup clause beyond the semicolon has always made me laugh. Its so dry, so subtle, and so prescient of the kind of prose Raymond Chandler and Dashiell Hammett would later come to employ. But this was Buchan’s prose, written in 1915. That there is a link between these later-pulp writers and ‘The Thirty-Nine Steps’ is one of evolution. They both stem from the same point of origin, what Buchan himself calls the “american dime novels” – a genre he was very fond of. In those, he found a pace and a style and a taste for adventure that made for compulsive reading, and he wanted to create some of that for himself. And he did. The novel is a headlong chase along rail-lines and roads, across fields and into the hills. It even has a scene where, in a open expanse, Hannay is chased by an aeroplane. This moment was of course borrowed by Hitchcock for ‘North By Northwest’, and was parodied by Anthony Horowitz in ‘South By Southeast’. The influence of the novel, then, is not to be underestimated. There is a cleverness about it too, and a psychological realism which only dawned on me towards the end. At the beginning, I had some trouble with Hannay’s miraculous capacity for judging faces. Several times he says words to the effect of ‘I saw by this man’s eye that he was the kind you can trust.” What on earth does that mean? Are Hannay’s powers of physiognomy so attuned that he can read a man’s character by his eyes alone? Such antics seemed to me naive; after three repeated occasions, it looked like Buchan was pulling a fast one to save himself some intricate plotting. I was wrong. After relying on this instinct multiple times, he trusts it one time too many, and finds himself trapped. After that, his judgement is less than certain, and the novel’s climax hinges – crucially – on whether he can see through several disguises at once. Earlier in the novel, he would have breezed through such a moment, but by the end, after the lessons he has learned, he is less than confident. This adds great intensity to the novel’s final scenes, for Hannay has to battle with his newly discovered self-doubt. Again, there was that other maxim of Peter’s which had helped me when I had been a roadman. “If you are playing a part, you will never keep it up unless you convince yourself that you are it.” That would explain the game of tennis. Those chaps didn’t need to act, they just turned a handle and passed into another life, which came as naturally to them as the first. It sounds a platitude, but Peter used to say that it was the big secret of all the famous criminals. This lesson which Hannay must learn, about not trusting people’s faces, is a trope the spy-novel never forgot. James Bond, in ‘Casino Royale’, has to learn that he can’t trust the woman he loves, and in Le Carre’s ‘The Night Manager’, the whole thing depends on several sustained performances. It is the business of the spy, afterall, to linger in enemy-territory as if one was a friend. Like ‘The Riddle Of The Sands’, ‘The Thirty-Nine Steps’ is one of the earliest espionage-thrillers. It shaped a genre, and its charm will never wear away. The prose is crisp and clean, thrilling and witty, human and sustained. It’s narrative voice is idiosyncratic, revealing Hannay to be a smart and mannered man, but a man with a need for adventure. His story is set just prior to the first world war, ending three weeks before it starts, and his journey from innocent-bystander to embroiled-spy becomes a reflection of England’s larger move from a halcyon summer – the fictive summer of ‘The Wind In The Willows’ and P.G Wodehouse – to an age of darker and more violent realities. It spawned several sequels – ‘Greenmantle’, ‘Mr Standfast’, ‘The Three Hostages’, ‘The Island Of Sheep’ – and has been adapted many times for film and TV. Most memorably, it was the source for Robert Powell’s ‘The Thirty-Nine Steps’, and the associated series ‘Hannay’, both of which I can highly recommend. This novel is a critical text in the history of espionage literature, and it’s not to be missed. Craik,TW., Marlowe, & Marlowe, Christopher. (1966). The Jew of Malta. (1592) London. What do you think about The Thirty-Nine Steps? Did you agree with this guest spy book review? Disagree? 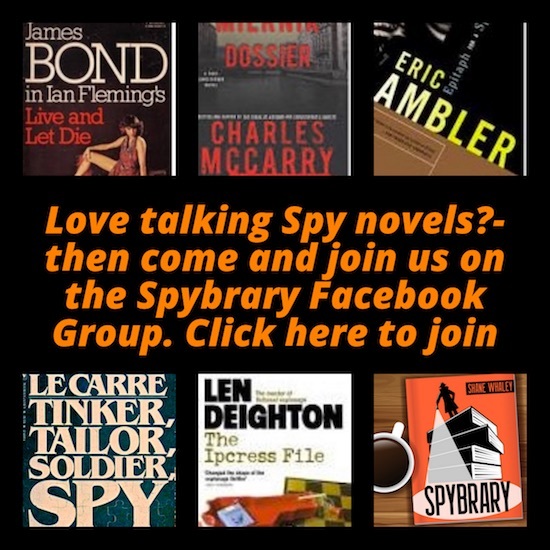 Come and chat with like minded spy fiction fans in our Spybrary Facebook Group. A big thank you to James Inkster for sending us this guest review. Much appreciated. Go check out his blog for more reviews.